Barbershops, beauty salons and even a church have been sued by a Bay Area licensing company. Some businesses say they’re being punished in court for not knowing how to license pay-per-view fights. Now U.S. Rep. Mike Thompson wants to change that. Small business owners who say they are being taken advantage of by a South Bay company involved in the boxing industry now have someone with muscle in their corner. U.S. Rep. Mike Thompson, D-Napa, says Congress needs to reform a confusing federal law that governs who is allowed to broadcast televised boxing matches. A law change could affect how a Campbell company called J&J Sports Productions does business. The NBC Bay Area Investigative Unit first reported last month that the company has sued thousands of restaurants and bars across the country for pay-per-view piracy. 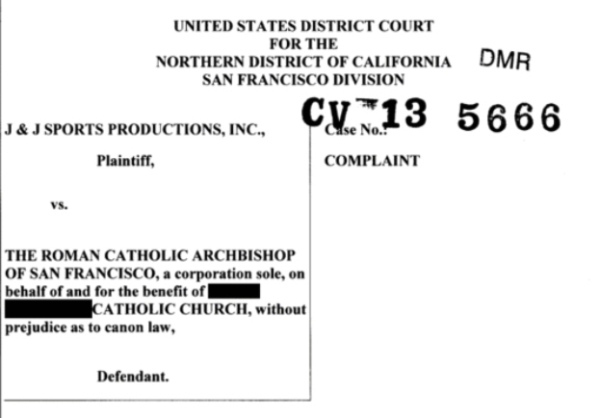 Court records show J&J has also sued Bay Area barbershops, beauty salons, auto centers and even a church. J&J holds the commercial rights to many boxing matches. People who order and watch a pay-per-view fight in a commercial establishment are violating federal law if they fail to pay J&J a commercial fee. 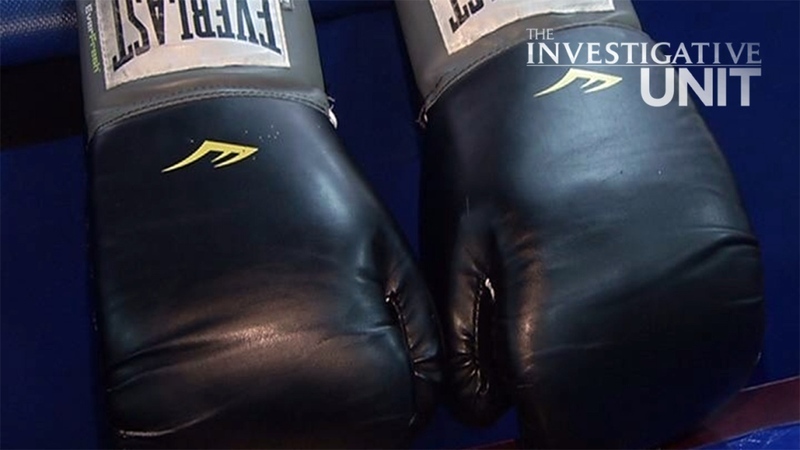 Even if business owners believe they lawfully purchased a boxing program, J&J is still entitled to damages. And the law allows for hefty penalties. J&J routinely seeks damages of more than $100,000. The demands have financially decimated many people who can't afford to defend themselves in court. While J&J's practices are legal, Thompson is stepping in to address concerns that what's happening to small businesses is unfair. The congressman says the law needs a revamp. "I think it's terrible," Thompson said. "I don't think this is what Congress had in mind and I don't think the statute is written in such a way that provides latitude for the courts to deal with this situation. We're talking about small businesses that find themselves in this bind." The congressman began examining a federal telecommunications law after the Investigative Unit contacted his office. Last month NBC Bay Area revealed J&J slapped the 8 Ball Tavern, a bar in Thompson's district, with a $170,000 lawsuit for broadcasting a fight the owners say they never showed. The law includes two statutes that prohibit unauthorized cable or satellite reception. It forbids businesses from showing programs such as pay-per-view fights without obtaining proper authorization. Authorization usually entails paying the owners of the programs a special commercial fee, which ranges from a few hundred to a few thousand dollars depending on the size of the establishment. Thompson tapped the Congressional Research Service, the legislative branch's public policy think tank, to figure out how to reform the law so it doesn't harm small businesses. He believes Congress should address the penalty authorized by the law, saying the punishment far exceeds the crime. Thompson also says Congress needs to make sure small businesses know how to comply with the law. "I think there is a big problem there. I don't think it's clear and we need to straighten out those ambiguities," Thompson said. "Small business owners aren't out to break the law. They are out to make a go of their businesses and we should be willing to work with them to make it as easy as possible." Many defendants say they're being punished for making a mistake. J&J sued Martha Sanchez's family for $112,000 for broadcasting the Floyd Mayweather versus Miguel Cotto fight inside their Mission District restaurant in May 2012. She was unaware she needed to pay the company a commercial license fee. "We had no idea," Sanchez said. "Commercial license sounds like a big production. It sounds like you are planning an event and we weren't doing anything like that. We were just hanging out here watching the fight." Defense attorneys say the vast majority of business owners they've represented have made innocent violations. "Most people, whether they are attorneys or defendants who contact me are unaware that commercial rates apply," said Trevor McCann, an East Bay lawyer who has defended more than two dozen clients against licensing companies, including J&J. McCann has argued in court that contracts between television service providers and commercial customers contain vague language about licensing. Though the law does not require J&J to advertise to small businesses, McCann questions just how much outreach the company actually does. "How J&J is getting that information out is not quite certain to me at this point," McCann said. "It's a question that I have asked. It's a question that many attorneys have asked but we've never gotten a straight answer." It appears from the company's website that business owners have to contact J&J's sales staff to pay the company a commercial fee. J&J president Joe Gagliardi declined to provide NBC Bay Area any examples of his company's advertisements. He says he makes calls to bar owners and has placed notices in the Spanish-language newspaper La Opinion. Boxing is popular in the Spanish-speaking community since many professional boxers are Latino. Gagliardi says there is "absolutely" enough education among business owners about the law and they should know how to comply with it. He doesn't believe small business owners when they pull the ignorance defense and says he has faced repeat offenders in court. Gagliardi also says many people purposefully pirate his programs. "They want to steal the signal and make a few bucks on it without paying the license fee," Gagliardi said. "That's what it's all about." But McCann says if business owners knew about the law, there wouldn't be as many defendants who've been sued by licensing companies. "The information is not getting out," he said. "If I don't know you exist and you make no effort, no real effort, to inform me of your existence, and you later come to sue me, how are you the victim?" Attorneys believe J&J does little to inform would-be customers of its property rights, choosing instead to sue people. While defendants usually negotiate settlements for far less than J&J's six-figure demands, attorneys believe the company is profiting more in court than from collecting fees. McCann started to follow the money. He says he found that federal courts awarded J&J more than $1.3 million in 81 judgments from October 2014 to October 2015. He notes, however, that figure doesn't include settlement amounts, and doesn't account for at least 600 other cases involving J&J in the same time period. "J&J is making a lot of money suing people as opposed to protecting its property rights," McCann said. It is not yet clear what Congressman Thompson's reform legislation would look like. Elliott Stone, a Southern California attorney who represents defendants in piracy cases, suggests adding a safe harbor provision to the law. That would give business owners the opportunity to comply with the law before facing legal action. "I think the more just response for somebody who violates these laws is they pay the license fee they didn't pay plus a small service fee," Stone said. "I think anything more than that is just extortion under the color of law." HOW TO PURCHASE AN EVENT FROM J&J: If you own a commercial establishment and you want to show a pay-per-view fight on the television inside your business, you must first pay the owner of the boxing program a commercial fee. More details are posted on the company's website.